Industry figures have continued to share their views on media coverage of contaminated recycling collections. BBC Breakfast originally reported that “rejected” recyclable waste had risen by 84% in England since 2011, which has been followed by coverage across other media outlets including the Daily Mail, Daily Telegraph and The Times. Now FCC Environment Group chief executive Paul Taylor has said the reports are “a testament to the fact that the industry is broken”. He said ambitious recycling targets were unachievable and the Government needed to “look more strategically” at how energy-from-waste (EfW) could act as a complementary technology choice. “What is needed is a sustainable waste strategy that balances and aligns environmental imperatives with hard, economic realities. “The very nature of conversation around recycling during the past 20 years has disassociated waste from the argument. Even the use of the term continues to further negative connotations about the things we perceive to have no longer use of. Viridor director of external affairs Dan Cooke said the most contamination from residents was found around plastics and containers, and the company often found food waste, nappies and sanitary products in recycling collections. “Only around 3% is rejected due to contamination and, of that, much will still be used to generate energy. “The public instinctively want to recycle and do the right thing, and 8 in 10 people see ‘waste’ as a valuable resource. The Confederation of Paper Industries’ director of raw materials Simon Weston, pictured, said higher reject rates partially reflect a growing impatience amongst paper mills that cannot afford to pick up the cost of contamination. ”Increasing energy, water, sorting and waste disposal costs have focused reprocessors on the impact of poor quality, which can increase the cost of raw material by up to three times by the time it has been processed. 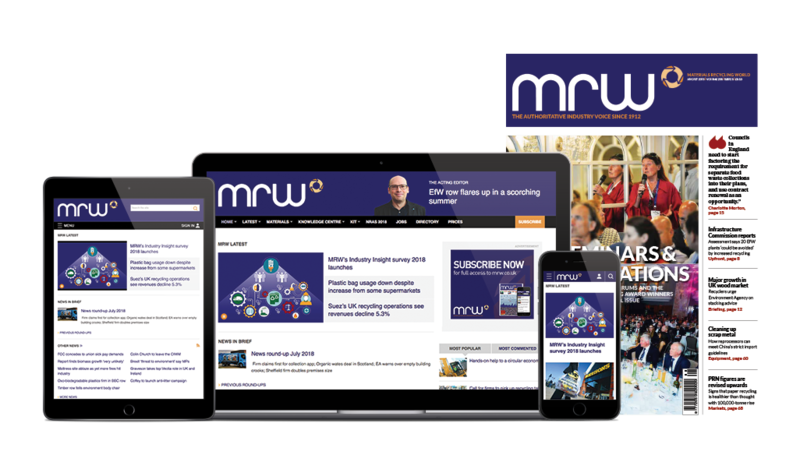 ”The paper industry favours a clear and consistent approach to collection, such as that being advocated by WRAP, which would provide clarity and simplicity for councils and the public. The newly reported figures appear identical to those used in a criticised Mail article in January, which was picked up by the Telegraph and Daily Express via Associated Press. At the time, Eunomia consultant Peter Jones contacted the papers to say the 338,000 tonnes “reject” figure represented only 3% of the 11 million tonnes of recycling collected by councils, with most of the rejects being the product of the MRF sorting process rather than households. The Alliance for Beverage Cartons and the Environment (ACE) UK said there was a clear link between information, public engagement in recycling and the quality of recyclable material being collected. Mandy Kelly, ACE UK senior recycling manager, pictured, said: “The priority for councils has of course been to maintain front line services and communications budgets have often been a casualty when making savings. Unfortunately this is now translating into rising quality issues and flatlining recycling rates.